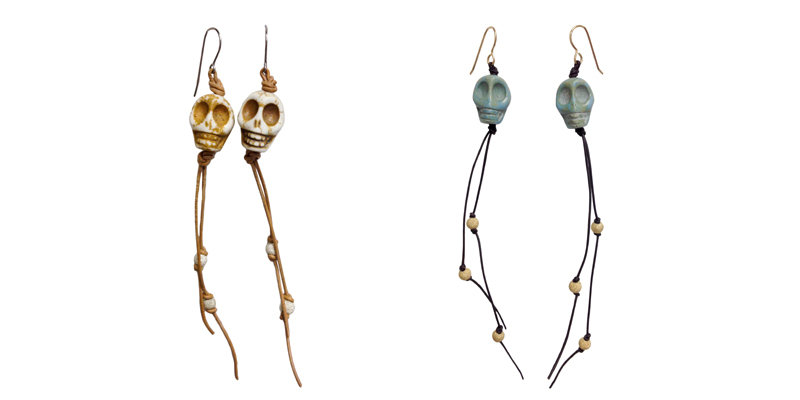 Earrrings- Howlite skulls on leather cord with sterling silver and gold-filled beads. Ear wires are surgical steel and gold-fill. Tags: earrings, gold-fill, skull, sterling silver. Bookmark the permalink.